InterReactive™ Coating Technology covalently bonds to any zinc or zinc-alloy coated substrate to create a product that greatly outperforms standard galvanized products and traditional chemical treatments. 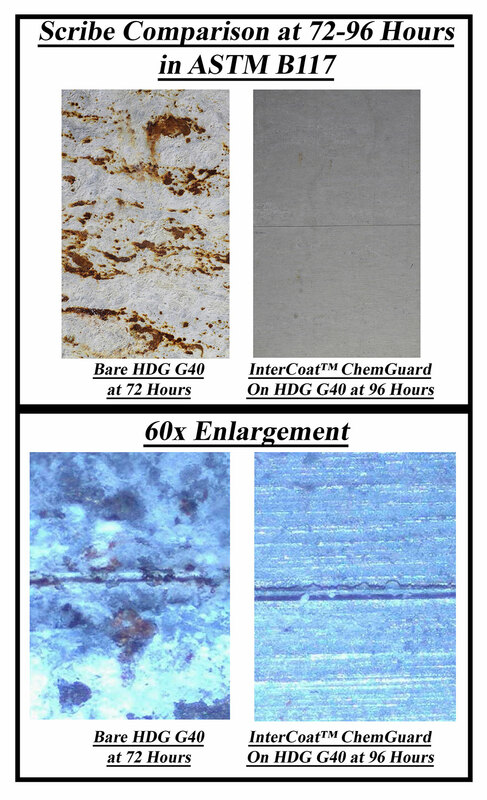 InterReactive™ Coatings covalently bond and integrate into the zinc, zinc alloy or zinc-iron alloy metallic coated base substrate and become a singular composite coating layer. It is this characteristic that provides the tremendous corrosion resistance properties. 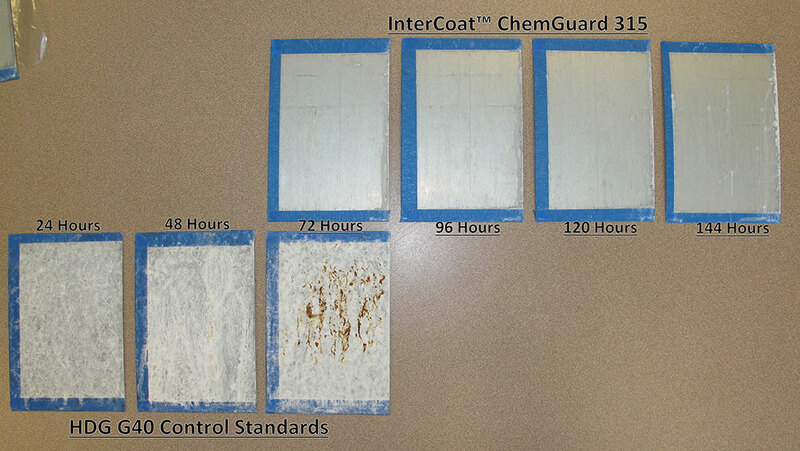 InterReactive™ Coating systems have outstanding cut edge and scratch resistance and exhibit self-healing characteristics. 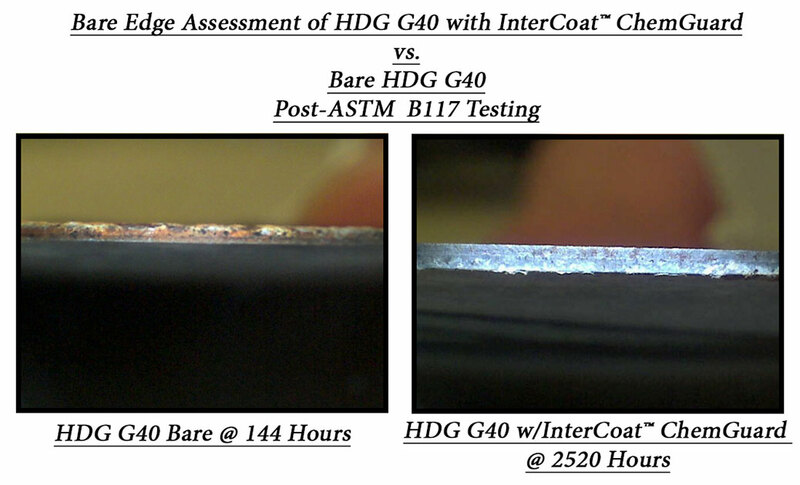 The photos below demonstrate the superior rust protection provided by this product. The self-healing properties of InterReactive™ Coating Technology prevents rust from forming on cut edges, and damaged or etched surfaces. Should you ever have a question or need advice about steel products or processing, we encourage you to contact us so that we can help you however possible. Whether your steel supply needs are big or small, urgent or sporadic, we value your business and are grateful for the privilege to serve you whenever possible.